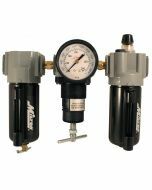 1/4" NPT piggyback duo has the features of the standard regulator, plus the space saving convenience of a combined filter. 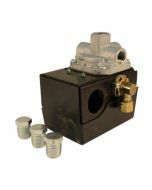 This piggyback filter regulator comes with a 6 ounce metal bowl and a 40 micron filter. 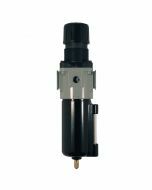 With an automatic overnight drain and relieving regulator, this duo offers a non-rising adjustment and a 3 position knob to lock, adjust or remove. 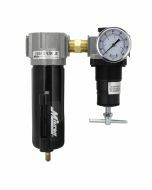 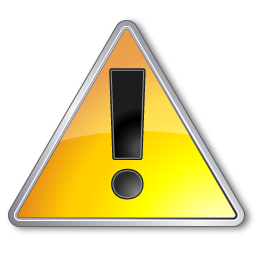 Has a maximum pressure of 200 PSI and 50 SCFM.